VR tours are virtual tours showcasing any kind of environment inside virtual reality technology. Most commonly but not exclusively, they make use of 360° images mapped to a sphere. Even though they are just static images, the feeling of depth and movement can still be achieved: depth by using two separate images for each eye and movement by blending the images between two positions while moving the camera. 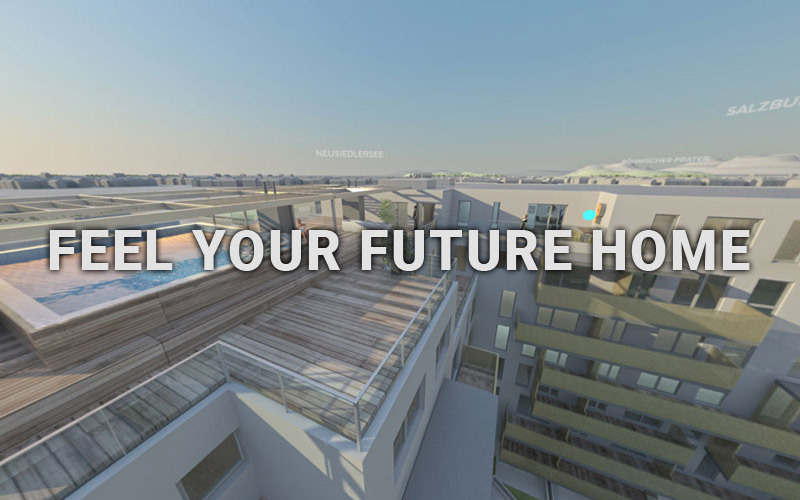 Virtual tours can be used for a large variety of different products, ranging from architectural visualization over tourism guides to shop configurators. They also have their place on all platforms and may be very simple or quite advanced with a lot of customized features and interactivity. Why use VR? Virtual reality’s main advantage is immersion. The wide field of view, stereoscopic view and head tracking allow for a great sense of immersion and realism. This means it is especially well suited for visual content: residential properties, museums, national landmarks or tourism in general, hotels, stores, galleries, etc. Anything, where the look and feel of an environment is an important selling point, works well in VR. Another strong point of VR is the more natural feeling motion controls on more sophisticated platforms. For VR tours, this can be beneficial in some special cases, but most of the time simple gaze controls work best for them. 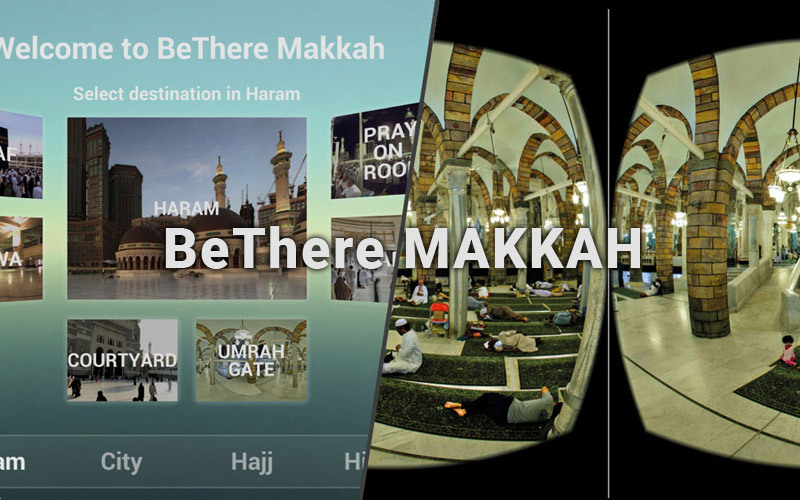 For more information about VR in general, please continue to our Virtual Reality section. VR tours using 360° image way-points can often be achieved quite inexpensively. In many cases, 3D rendered images or photographs are needed for illustration purposes on websites, folders or billboards. This means that extra costs for the production of 360° images can be kept relatively small, since the 3D rendering or photo shoot need to be done anyway. 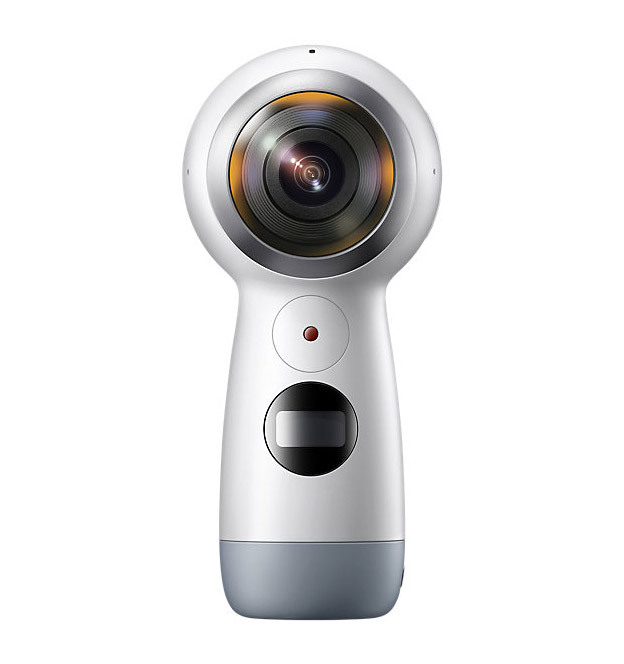 360° images can be created by using an automatic 360° camera similar to the Samsung Gear 360. Alternatively, a D-SLR camera can be used by a professional photographer to generate several images, which will then be stitched together to a single 360° image. While more expensive, this provides images of much higher quality. Stereoscopic 360° photographs are possible and work very well, but are more expensive as they require either a lot of manual work or special camera equipment. With those images we are able to create VR tours for all kinds of interior and exterior environments. In addition, we are also able to add 3D rendered images into the existing pictures. This allows for example to add furniture to an otherwise empty apartment, add or replace shelves and products in a shop or place paintings in a gallery. 3D rendering software is also able to create 360° images suitable for VR tours. Since it is expensive, 3D environment rendering is usually only done for visualizations of not yet existing or stylized environments, most especially architectural visualization. If the 3D scene already exists, rendering separate 360° images requires very little extra amount of work, with the only down side being additional render time. Stereo images are almost always recommended, as they only double render time and memory used by the app, but not actual work time. As with 360° photographs, interactive configurations, like changing between different lighting or colors, are possible. Creation of the most basic VR tour application which allows basic movement/blending between 360 images is normally quite inexpensive. However, most of our clients rely on our customization options, which range from varying cursors, menus and way-point icons, over adding sounds and music to more complex custom-made features, like a special fancy main menu or configuration options for the environment. Feel free to contact us, if you would like to discuss ideas about customization for your VR tour application. Sometimes, more special solutions might be advantageous for VR tour apps. In some cases, 360° videos may be included. While videos are worse in quality than pictures and use up a lot more memory, they work well for explaining or showcasing more dynamic environments like a busy event or tourism attraction. They also work well for more complex 3D rendered animations. A different solution might be to not use 360 content at all, and rely on real-time visualization. While visual quality will be limited, real-time gives the advantage of a potentially completely interactive environment. Another benefit is smoother movement through the scene, because we are not blending between two points but have an actual 3D environment in the app. Google Cardboard, preferably with custom designed and branded cardboard headset. 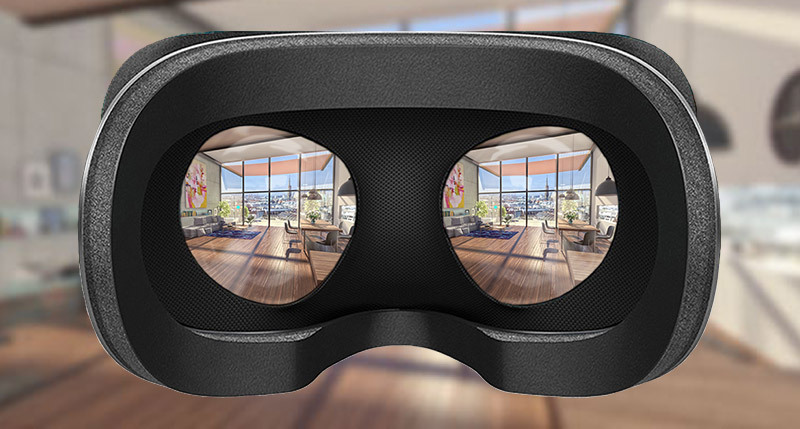 If used in sales talks GearVR or Oculus Go. 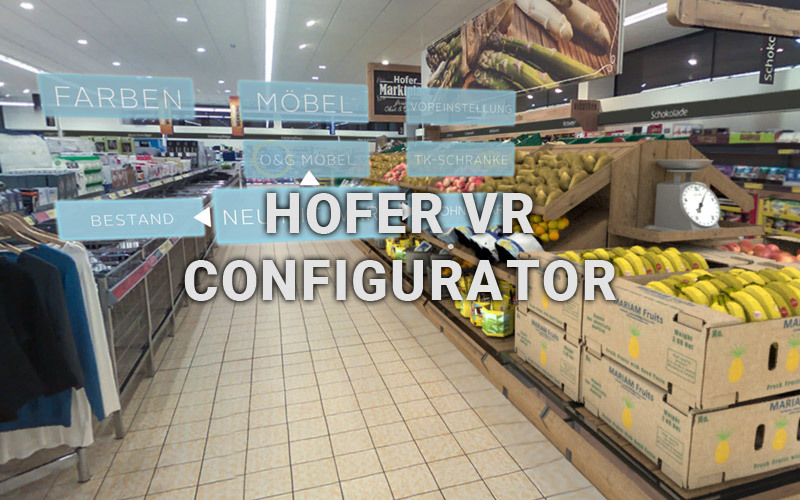 If the product is advertised online WebVR. Real-time visualization on PC with HTC Vive. Depending on complexity, simple: GearVR / Oculus Go, complex: HTC Vive / Oculus Rift. Feel free to browse through our featured projects below. If you need further information, a pricing quote, or want to discuss ideas for VR tour projects please complete the form below, or call us on +43 660 5732721. By sending your message, you agree to have read and accepted our privacy notice.